Are you searching for natural remedies to get rid of dark spots, pigmentations, pimples and acne marks? Then keep reading to know effective ways to get rid of them at home. Getting a pimple is a common thing but what makes it worse are the scars that it leaves on our face 🙁 There are many creams and laser treatments available for getting rid of them. In certain cases they are expensive and in certain cases they do not work the same way on all the skin types. The best way to opt for is to use natural ingredients to get rid of dark spots. 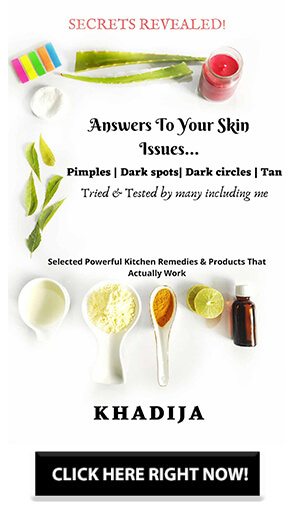 But if you have extreme dark spots then it is better to consult a dermatologist and along with that you can try the natural remedies which I am going to tell you now. As they are completely natural, these remedies do not cause any side effects. So you can go ahead and try one or two or all of them without any fear. Why should you go for natural remedies for removing dark spots? Repairs the skin and apart from removing the scars they also prevent pimple recurrence. Dark spots are mainly caused because of pimples, acne, zits, hyperpigmentation, exposure to the sun, not following a proper skin care routine, lack of vitamin in the body and the list goes onnnn. 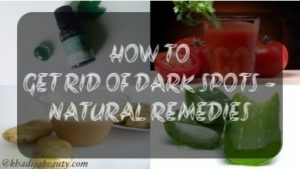 No matter what is the cause of your dark spot, this list of natural remedies is going to solve your problem 🙂 Read the list and choose the one which you would like to use for removing your dark spots. All of the things which you are going to read below work very well. This is my favorite remedy which I use for pampering my skin. Potato is well known for its rich starch content. Potato juice has skin brightening and skin lightening properties and this is why it is used for removing dark spots. It is also used to getting rid of dark circles. Grate half or one potato and extract the juice from it. Apply the juice on your dark spots and leave it for 20 minutes. Then wash it off with normal water. You can also apply the juice all over your face. Once you wash off you will love your skin. It makes the face very soft and smooth because of the starch content in them. Do this thrice a week and you will see the change. 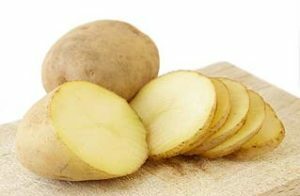 If you feel lazy to grate the potato and take out the juice, you can just take a slice of it and rub over your blemishes, dark spots and follow the same procedure as I have said above. You can directly apply the organic gel or buy aloe vera gel from the market. 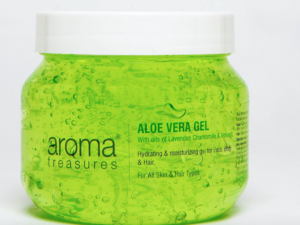 I use aroma aloe Vera gel and I have said everything about that in my older post. You can read it HERE. Apply aloe Vera gel on your spots and leave it for 30 minutes, then wash your face with cold water. You can apply it on your spots before going to bed and leave it on your face the whole night. Apply it every day for best result. You will start noticing the change and will start loving your skin too. You can also apply it on your full face. 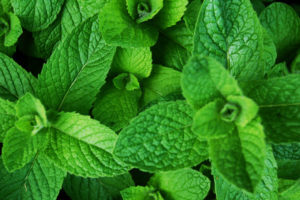 Mint leaves contain vitamin A, Vitamin C and enzymes. So they help in reducing the melanin pigment in the area where they are high as a result of which the dark spots are reduced. Mint leaves also have soothing property because of which they heal and repairs the skin. Grind the mint leaves well and apply it on your dark spots. Leave it for 30 minutes and then wash your face with cold water. For best result use it thrice a week. 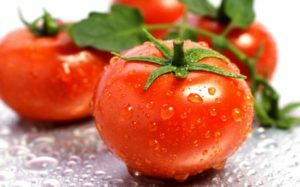 Tomato contains lycopene enzyme which is responsible for lightening the blemishes, pimple and acne scars. They are also used for removing tan and treating dark elbows. Squeeze out the juice from a tomato, apply the juice on the spots and gently massage over it. Allow it on the face for 30 minutes and then wash it off with plain water. Use this thrice a week regularly and you will notice the difference. Tea tree oil contains terpenoids and has antibacterial, anti-fungal properties. They also have a healing property which is why it reduces the dark spot. They are also used to get rid of pimples. They do not clog pores and has many other beauty benefits. 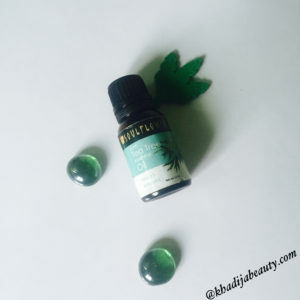 You can either dilute it with coconut oil by mixing one drop of tea tree oil to 2-3 drops of coconut oil or directly use it on the blemishes and dark spots caused by pimples and acne. Take the oil in a Q-tip and dab it on your spots before going to bed. use it every night for good result. Lastly, I would recommend you force you to drink lots and lots of water. Water is the best medicine. Drinking lots of water flushes out the toxins from our body. This will keep your skin hydrated, healthy and will prevent accumulation of toxins and dead cells which in turn will prevent dark spots. 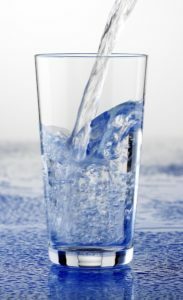 By drinking at least 8 glasses of water will make you skin beautiful and will keep them nourished and glowing. Water Tip. I only believe in drinking 2 ltr of water 🙂 Thanks for lovely tips. Thank you 🙂 Yeah Maximum two and Half litres of water everyone should drink. But that again differs from person to person.